The social aspects of primate reintroduction are of primary importance to the success of release programs and need to be assessed through the study of changes in social behavior over time. This study reports on the development of social structure and organization in a community of 37 chimpanzees (Pan troglodytes troglodytes) released into the wild in the Conkouati Douli National Park, Republic of Congo. Analyses of post-release monitoring data collected over 10 years on association patterns between individuals show that during the years following individual releases, chimpanzees exhibited changing social structure and organization until they stabilized in one community living in a fission–fusion system. 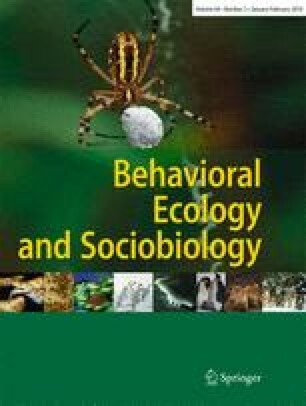 Social organization development was directly affected by several factors including community size and experience in the wild, while social structure was affected by individual characteristics: gender, pre-release history, and release history. Similarities between social structure and organization observed in the released community and wild chimpanzee communities demonstrate that the release program is a success from a social point of view. We are grateful to Caroline Ross, Peter Shaw, Ann McLarnon, Stuart Semple, Mary Mackenzie, Joanna Setchell, and to the members of H.E.L.P. International for their support. We also thank the Ministry of Forest Economy and Environment of the Republic of Congo and Mr. Grégoire Bonassidi (Conservateur of the CDNP) for permission to carry out our research in the CDNP. We are grateful for financial support from the US Fish and Wildlife Service, Cleveland Zoological Society, Columbus Zoo and Aquarium, International Primate Protection League, Arcus Foundation, Pan African Sanctuary Alliance, Tusk Trust, Sea World and Busch Gardens, Disney Wildlife Conservation Fund, American Zoos Association, Fondation Brigitte Bardot, Fondation Bourdon, Société Protectrice des Animaux, One Voice, Beauval Zoo, Amneville Zoo, La Barben Zoo, Gorilla, Cardiff University, and Roehampton University. Finally, we would like to thank the H.E.L.P. Congo field assistants for their continuing hard work in monitoring the released chimpanzees.